My skin was not getting along very well with the heat and the sudden change back to plastic and my fingertips just started to shed layers of skin. Nevertheless, I decided to join Remo to go rope climbing the next day. We went to a newer area which is not very well known but offers a few really nice and hard routes. After all the dyno practice in Rocklands I was especially psyched on „Doppel D“, a route with a big jump in the end followed by a fairly scary slab. To everyone’s surprise (including my own), I stuck the dyno third try and worked out all the other moves as well. The only thing missing now is a little bit of endurance but I’ll be back! 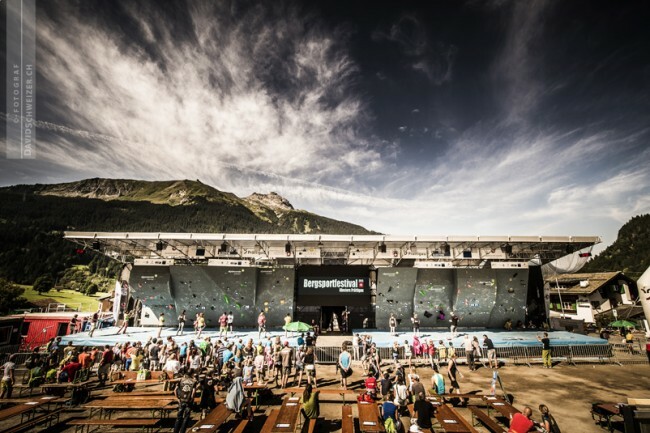 Not even a week later, it was time for the last bouldering World Cup of the season in Munich. 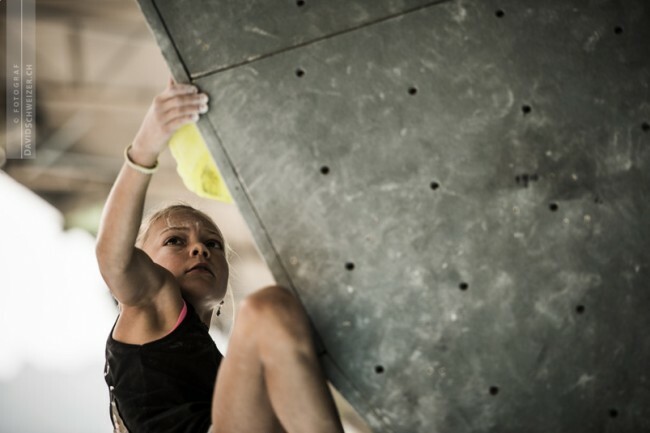 It was one of the biggest events in history with 210 athletes registered in total, out of which 86 were female. 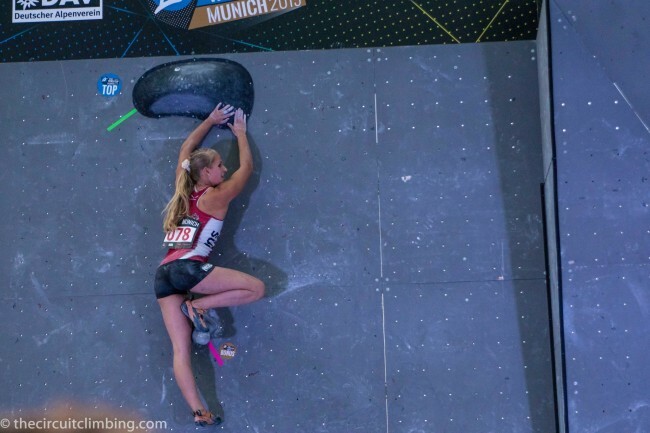 After watching the men’s qualifiers in the morning, I was incredibly psyched to climb, the problems looked amazing and there was a pretty big crowd supporting the athletes already. 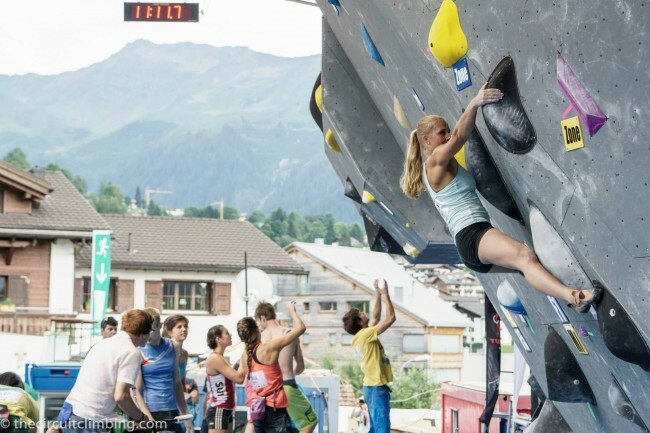 I grinned when I walked up to the first problem and saw that it was a dyno. It gave me confidence to start the competition with a flash and after not getting to the bonus on number two, I was very pleased to be one out of only five girls who topped the tricky slab on number three. 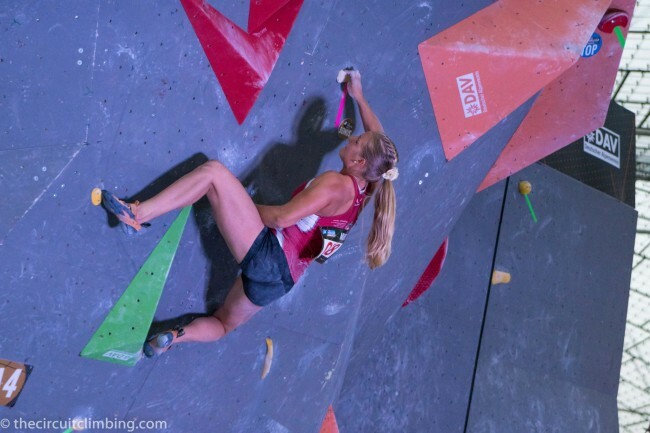 The fourth problem was all about crimps and I was happy to get to the bonus hold despite my finger injury. My foot slipped on the balancy mantle finish of the last problem but I got straight back on and finished it second try. This was good enough to qualify in 11th place for semi finals the next day alongside my teammates Petra and Jara! 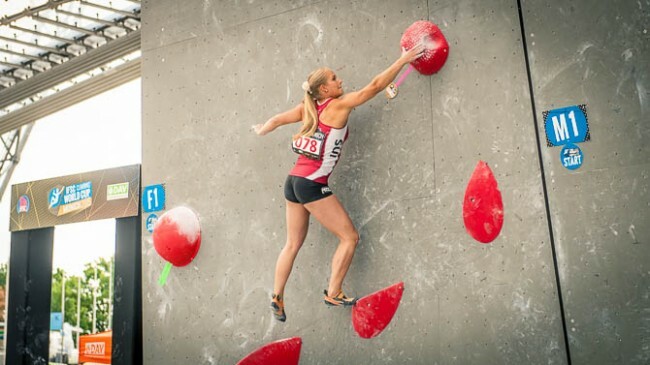 I climbed okay in semi finals but unfortunately I didn’t get a top and ended up in 19th place. Congratulations to Jara for placing 15th in her first semi finals, what a great effort! Looking back I’m very satisfied with making semis in such a big event and I’m already looking forward to next season, there’s still plenty of time to improve and work on my weaknesses until then. For now I have decided to do a bit more roped climbing. We have even planned a short trip to Rodellar in September – can’t wait!